Most tenancies in the private rented sector can be brought to an end by a section 21 notice provided the contract has come to the end of its fixed term or if it is held over on a month to month periodic basis. The tenant then has two months to vacate. Introduced by the 1988 Housing Act, the section 21 notice was intended as a no fault fast track to gaining possession of a property. It played an important role in increasing flexibility and growth in the private rented sector: landlords could let their property knowing that they could gain possession relatively quickly if required and the tenant had similar flexibility to vacate, generally with just one month’s notice. But this arrangement has always been unpopular amongst the housing campaign groups and many attempts have been made to end the insecurity of tenure that the possibility of being served with a section 21 notice affords tenants. The 2004 Housing Act introduced the concept of removing the landlord’s right to serve a valid section 21 notice if he or she failed to comply with regulations: namely local authority licensing and tenancy deposit protection. The notion of fast track repossession has also fallen by the wayside, because in practice if the tenant does not vacate as required, court delays can lengthen the process to four months or more. 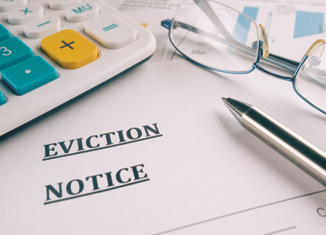 Now, the retaliatory eviction legislation introduced in England and Wales could all but signal its complete demise. Originally formulated as a private members bill by Shelter for Sarah Teather, this new legislation which places a six month moratorium on a section 21 notice has found its way into the Deregulation Bill and is set to receive Royal Assent before the General Election. It is thought that the Department for Communities and Local Government (DCLG) sponsored the measure to take the sting out of some of the Labour party measures aimed at their core ‘generation rent’ voters, promoting compulsory three year tenancies and rent caps.